Although unlimited time with electronics may keep your child quiet, too much screen time isn't good for kids. But setting limits on how much TV your child watches or how many video games he plays isn't always easy in today's screen-filled world. Here are 10 tips that will help you limit your child's screen time to a reasonable, healthy amount. It’s important to role model healthy electronics use for your children. So before you binge watch your favorite Netflix series, remember to set a good example. 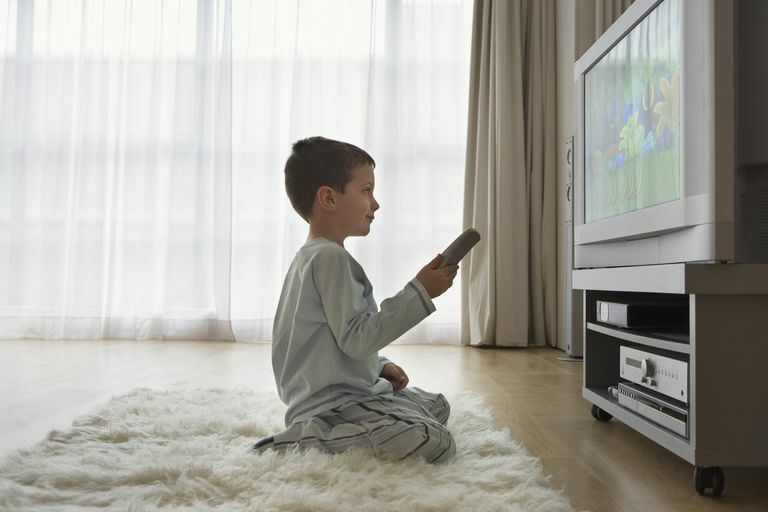 Keeping the TV on for background noise all the time or scrolling through your phone any time you have a spare minute teaches your child bad habits. Today’s kids are tech-savvy. Most of them know more about electronics than adults do. that's why it's essential to stay up-to-date on the latest cell phone app or the newest social media craze. You can't teach your child about the risks of social media unless you understand the dangers. And you can't prevent him from playing violent video games if you don't understand the ratings. Make it a priority to learn about electronics and how they're affecting children. Establish zones in your house where you just don’t allow electronics, like smartphones and laptops. For example, the dining room can be a great technology-free zone that is reserved for meals and family conversation. Set aside times for the entire family to become unplugged from technological devices. For example, the dinner hour or an hour before bedtime can be great times for the entire family to have quality time together without TV, video games and computers. You also might consider a longer digital detox for the entire family. Protect kids from explicit content on TV and online. Use parental controls that allow you to monitor what your children are viewing on TV and what they’re doing online. In an age-appropriate manner, explain how violent video games, movies, and images can be harmful to kids. Also, discuss the potential dangers of online predators. Discuss how you can work together as a family to reduce potential risks. Depending on your child’s age and your values, it may make sense to obtain your child’s passwords to any social media accounts or online accounts. It can also be important to establish rules about social media and what services you’ll allow your child to participate in. Many children lack the maturity needed to handle online problems, such as cyberbullying. It’s important to really take responsibility for helping your child stay safe if he's using social media. Kids easily grow dependent on technology for entertainment. Encourage your children to become involved in activities that don't involve screens. Get your child to play outside, read a book or play a game. Screen time should be a privilege and not a right. Take away privileges, such as TV time or computer use, as a negative consequence. Once you’ve set a limit on how much screen time is allowed, don’t allow kids to earn extra time as a reward. Instead, stick to the daily limit and offer other free or low-cost rewards. It’s impossible to monitor a child’s screen media use if it’s allowed in the bedroom. Don’t allow your child to have a TV, video game system or computer in his room. This includes hand-held devices that many children use late at night, which can interfere with their sleep.